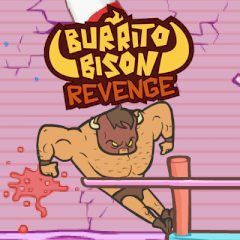 The mighty Burito Bison is back to take his revenge on the gummy bears! Wrestle in the ring, launch him as far as possible so that he could smash as many gummy bears as possible. Have fun!